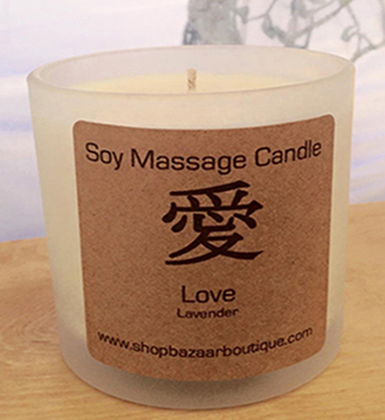 The Frosted Glass Container Soy Massage Candle are our best selling also it is enriched with shea butter and can be used for a mini massage. 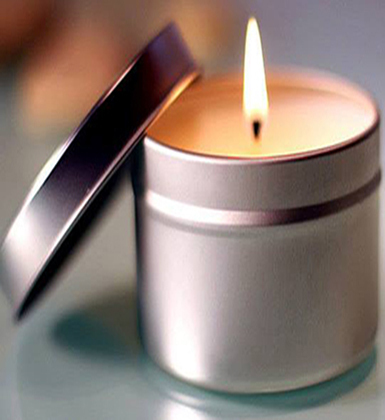 Blow out the candle, dip in your fingers and use the natural scented oil for an aromatherapy massage. It will soften, hydrate and rejuvenate the skin leaving it deeply moisturized. Great for dry hands, feet, elbows, cuticles or any dry skin area on the body. If you travel you will love our Soy Massage Travel Tins. They are fast becoming our best selling candle because of their convenience, portability, and like the glass containers above they are enriched with shea butter and can also be used as a massage oil. 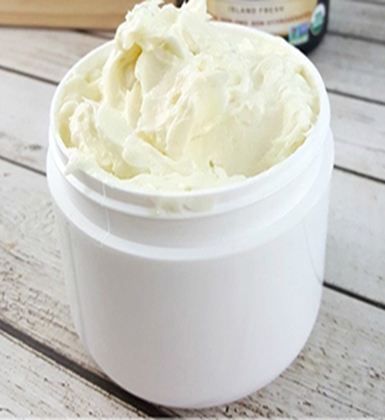 This luxurious 4 ounce body butter will leave your skin feeling silky smooth. Sinks in quickly, no greasy residue! We use only organic indredients of the highest quality. Ingredients: Organic Shea Butter, Coconut Oil, Jojoba Oils, Essential Oils. I personally hand pour each candle individually in my collection. I’ve created unique aromas using only natural ingredients, essential oils, 100% cotton wicks, shea butter, soy wax and I use eco friendly craft paper for packaging.